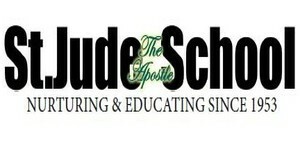 St. Jude the Apostle School is a Middle States Accredited school located in Wynantskill, NY. We have award-winning faculty and our students win scholarships to many area middle schools, including LaSalle Institute, Catholic Central Middle School and The Academy of the Holy Names. From our award-winning art program, to receiving the SPICE Award (Special Programs in Catholic Education for Computer Technology Program) we have a strong emphasis on striving for honor. Each of our classrooms is now equipped with an interactive Smartboard. Extra Curricular Activities include: student chorus, drama club (perform yearly musical production), school band, musical instrument lessons for woodwind, brass and percussion, piano lessons, bowling club, spring baseball clinic with former pitcher of the Houston Astros, CYO basketball, and Master Pae-run Tae Kwan Do Classes. We also offer C.A.S.E. (a Community After School Enrichment Program) consisting of arts, crafts, games, sports, and more that is open to children from St. Jude the Apostle School and the children from the local public school district. Faith is an integral part of our daily life, which most families and parents find very appealing. Our pastor is present to children, staff and parents and our active parent group, FSC (the family school connection) works to bring home and school together. Our small class size is also a benefit in the eyes of most parents. St. Jude is an integral part of our parish’s strong spiritual and academic program. From our warm and friendly faculty and staff and the many accolades and awards they have won, to the family oriented environment, St. Jude the Apostle school brings a sense of community to the safe, secure learning environment of our clean and orderly school facility. And we accommodate working families by opening our doors at 7:30 a.m. and closing them at 5:45 p.m. We offer a Junior Rosary Altar Society for grades 4- 6, and a Junior Knights of Columbus for grades 4- 6. 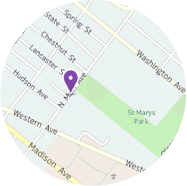 St. Jude the Apostle School is located in a beautiful suburban neighborhood, centrally located between Troy and the R.P.I. Technology Park, less than one mile east of Troy. Our school is in a relaxed, secure setting, perfect for fostering childhood development.